Cheap Bowling Set - 12 Ct. Bowling Set - 12 Ct.
Fun outdoor game for birthday parties, school or church carnivals, and picnics! Fun outdoor game for birthday parties, school or church carnivals, picnics, and much more! 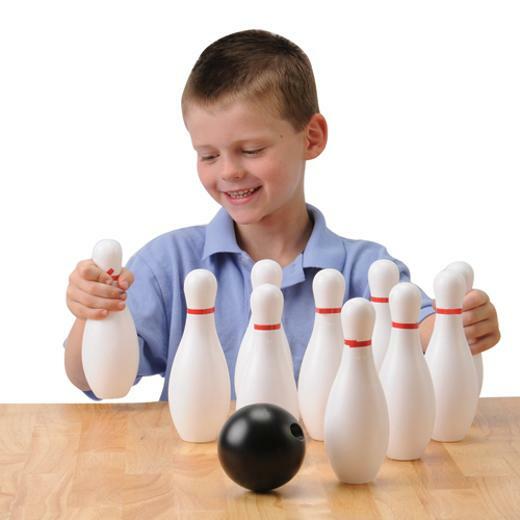 This bowling game is also a memorable party favor for your party guests. 10 pins and 2 bowling balls per set. L: 7.15 in. W: 4.05 in. H: 15.95 in.